ANAPA, June 23. /TASS/. Russian President Vladimir Putin took part in jointing of shallow and deepwater segments of the Turkish Stream gas pipeline in Friday. The head of state arrived at the Pioneering Spirit pipelaying vessel currently engaged in offshore laying of the pipeline. 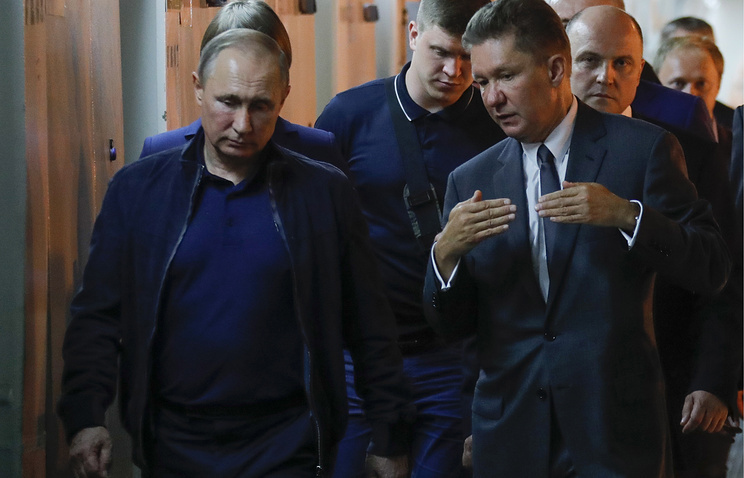 "All the gas pipeline construction and operation activities will be carried in strict compliance with the most advanced environmental standards and rules," Chief Executive Officer of Gazprom Alexei Miller reported to the President. The Turkish Stream has market demand, the top manager said. "Speaking about the Turkish market, we see the demand for Russian gas is growing; our supplies already account for 53% of Turkey’s internal market," Miller said. South and Southeast European countries are another gas market, Miller said. "We also see very high growth rates for the Russian gas in Europe. Growth of European deliveries of gas from 2017 year-start to mid-June added 10.5 bln cubic meters of gas. 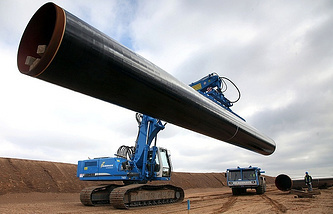 Growth rates are indeed impressive in countries of the region," Gazprom CEO said. Pipeline gas deliveries "will secure reliable supplies to our consumers," Miller added.